Just in is a selection of 12 of the very popular Quentin Blake limited edition prints, some of which are signed by the great man himself. 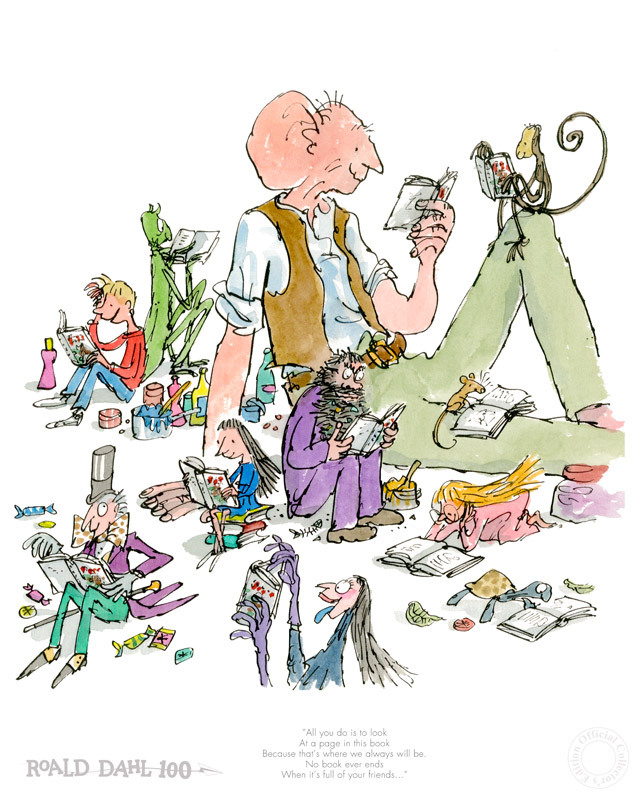 Quentin Blake was born in 1932 and has drawn ever since he can remember. His first drawing was published in Punch when he was just 16, and he studied at the University of London, followed by life-classes at Chelsea Art School, followed by teaching for over twenty years at the Royal College of Art. His first drawings were published in Punch while he was still at school. He continued to draw for Punch, The Spectator and other magazines over many years, while at the same time entering the world of children’s books with A Drink of Water by John Yeoman in 1960. 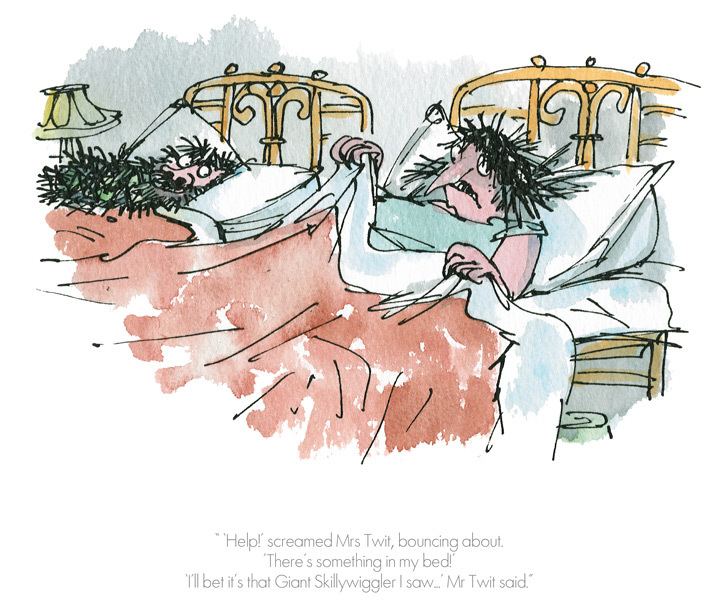 He is famous for his collaboration with writers such as Roald Dahl. He has also illustrated classic children’s books, and created much-loved characters of his own, including Mister Magnolia and Mrs Armitage. His books have won numerous prizes and awards, including the Whitbread Award, the Kate Greenaway Medal, the Emil/Kurt Maschler Award and the international Bologna Ragazzi Prize and is now recognised, according to The Guardian, as ‘a national institution’. In 1999 he was appointed the first ever Children’s Laureate, a post designed to raise the profile of children’s literature and in 2007, France paid a special tribute to Quentin by creating him Officer de l’Ordre des Artes et des Lettres. Roald Dahl was born in Wales 1916. After a distinguished career as a fighter pilot and diplomat during the Second World War, Roald Dahl settled down to become a full time author; first writing popular stories for adults; then, later, retelling many of the stories he made up at bedtime for his own children .